The Dundee team, which also features researchers from Heriot Watt University, the University of Edinburgh and the Institut Curie in France, have shown that the declining immune system with age may actually be a stronger reason for the increasing incidence of developing cancer than multiple mutations. Despite those longer, easier-to-assemble reads, the researchers still required some big computers, including the high-performance computational resources in NIH’s Biowulf system, to make sense of the data, correct for errors, and piece together portions of the genome that had been impossible to assemble previously. The Myeloid Solution by SOPHiA GENETICS is the best-in-class molecular diagnostic application which empowers clinicians to more precisely diagnose hematological disorders. The program does have some unique aspects. IU’s doctors sequence all 22,000 genes in a person’s genome, including genes of the tumor as well as healthy tissue. Most tests, Hundley maintains, look at less than 400. Their paper being published online in PNAS Plus also describes creation of a novel mouse model that mimics NF2-associated hearing loss and a better system for culturing tumor cells for NF2 patients. 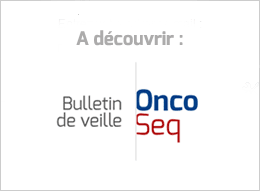 In the study, published in Molecular Oncology, the researchers describe the activity of CCT068127 which was developed from seliciclib, an early-generation CDK-inhibiting drug. The risks associated with tisagenlecleucel are substantial, leading to care in intensive care unit in some cases, but were mitigated in most patients with supportive measures and cytokine blockade. The changes to the trial were one issue, the lack of transparency about how the trial had changed was another, and just the fact that a company this large, with such an important readout, would have done something like this was a third. Grossman officially joins the Houston-based biotech Monday after two-and-a-half years at Genentech/Roche, where he most recently served as medical director of its cancer immunotherapy program. Study met its primary endpoint demonstrating significant improvement in progression-free survival (PFS) with POMALYST®/IMNOVID® in combination with bortezomib and dexamethasone (PVd) compared with bortezomib and low-dose dexamethasone. While Array had to withdraw its binimetinib application for a different form of the cancer—NRAS-mutant melanoma—this did not affect its other programs. The biotech carried on with other trials of binimetinib and the encorafenib/binimetinib is under FDA review for BRAF-mutant advanced, unresectable or metastatic melanoma. Pomalyst racked up $1.6 billion in sales for Celgene last year, a 23% increase over the $1.3 billion seen in 2016. That makes the drug Celgene’s number two therapy on the market. The oral drugs, encorafenib and binimetinib, are awaiting a U.S. approval decision by June 30 based on promising data on their ability to stall disease worsening, or progression-free survival (PFS). European regulators are also reviewing the treatment. The Boulder, CO-based company reported today that the combination of encorafenib 450 mg daily and binimetinib 45 mg twice daily — dubbed COMBO450 — produced a median OS of 33.6 months, doubling the 16.9 months recorded in the Zelboraf (vemurafinib) arm. Without details on secondary endpoints, which the companies will unveil during full presentations later this week, and without longer-term data showing whether living longer metastasis-free will help patients live longer, period—well, the conclusions to be made at this point are limited. Success of Roche’s trial, so far, compares favourably with the mixed results in last year’s study by Bristol-Myers Squibb for its Opdivo and Yervoy combination against kidney cancer. A grandfather waited eight months for cancer treatment only to be told his condition had become terminal. The inflation of the JIF and the weakening predictive power is discussed, as well as the adverse effects on the behaviors of individual actors and the research enterprise. Alternative journal-based indicators are described and the chapter concludes with a call for responsible application and a commentary on future developments in journal indicators. We need trust in the connections between the things we’re trying to find. How do we incentivise researchers to use PIDs to link their data publications to all research outputs? What can we learn from the PID community that could help drive adoption in the data community? Natural language is beyond deep learning; new situations baffle artificial intelligences, like cows brought up short at a cattle grid. None of these shortcomings is likely to be solved soon.